Firiki is a small apple, which is mainly found in mountainous and semi-mountainous areas of the country in the autumn months. It is oval-shaped, slightly sour, its peel is thick, green-red with fluffy flesh and very sweet. For many, it is the king of the apple because it is very fragrant and highly aromatic. 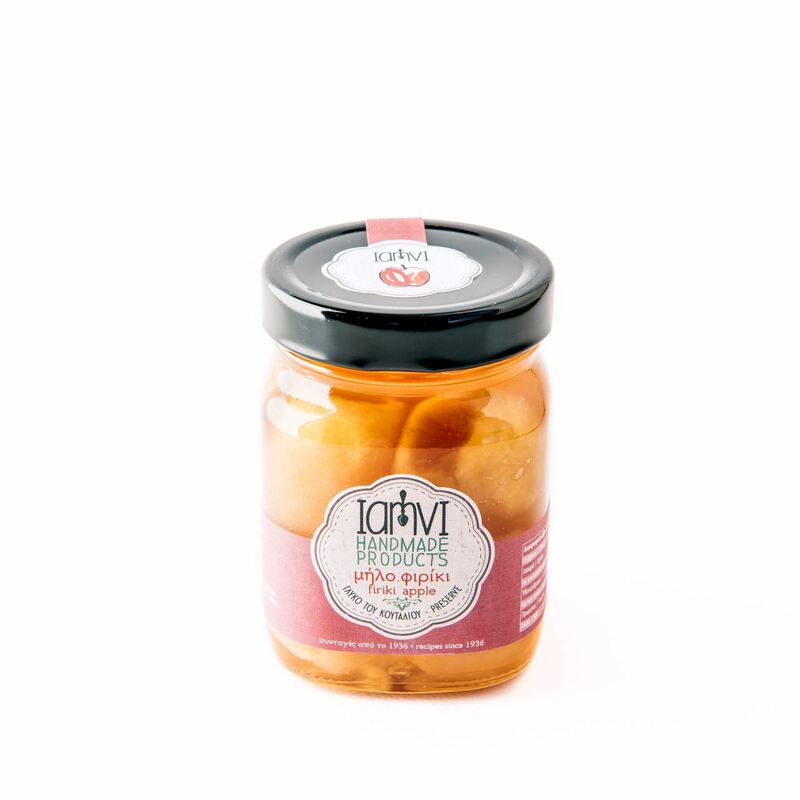 Firiki that we recommend has a delicate flavor, coming from both apple itself and the cinnamon, carnation and almonds that have been added to take off its flavor. Small apples are used whole, shrink into the syrup, making each spoon a unique delight. It’s the classiest sweet spoon ever.